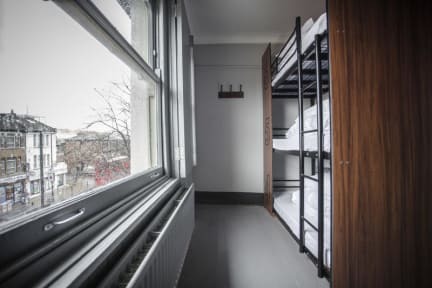 Hostel beds are available in mixed dormitories. With free Wi-Fi, fresh linen, including a comforter and pillow, 24hr bar access, reception and security all included. 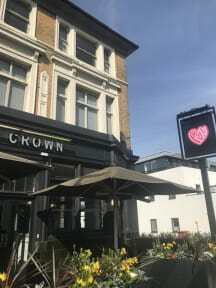 As well as an extensive bus network nearby, which connects the area with much of south and central London, The Crown has three tube stations and two railway stations within easy walking distance. With an award-winning burger kitchen onsite, 24hour reception and bar, free Wi-Fi, security bed screens, individual power sockets and guest food and drink discounts, we offer a classic night in London where you get to experience the fun and lively atmosphere of our pub. We’re not just your normal pub, we pride ourselves on working closely with our awesome suppliers to serve up the very best in beer, rum and gin, with a focus on London products. And as PubLover’s ourselves, we pride ourselves on pub culture and want to make your experience a memorable one.